With a culturally diverse population of around 53 million, England is divided into nine regions, and then organized by counties, districts, cities and towns. 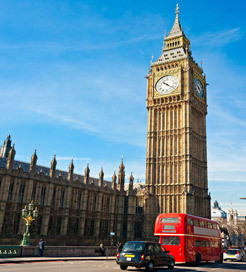 The capital city, London, is the most densely populated area in the entire United Kingdom, with around 13 million inhabitants; it is the center for trade, politics and law, and is also a huge tourist hotspot with plenty of attractions, outdoor spaces, iconic monuments and historic buildings. The world’s busiest passenger ferry port is in Dover, located on the very eastern tip of the south coast. Around 16 million passengers pass through Dover Port annually traveling from Calais and Dunkirk, both of which provide excellent links from mainland Europe. The cross channel ferries to Dover are generally the fastest, most frequent and cheapest route into the country with crossings operated by large modern ships. For those looking for a quicker, though more expensive option, there is also the channel tunnel to consider. If you’re traveling to England from across the Irish Sea, there are crossings from Dublin and Belfast to Liverpool. Although, as both crossings take around 8 hours, depending on your final destination it may be better to sail via Wales or Scotland as the crossings are faster and more frequent. 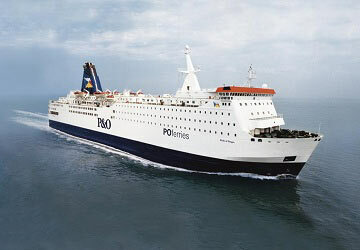 Options include sailing from Dublin or Rosslare in Ireland to the Welsh ports of Holyhead, Fishguard and Pembroke or from the Northern Irish ports of Belfast and Larne to the Scottish ports of Cairnryan and Troon. In all cases, the crossings are operated by modern ferries with excellent facilities.